1. What was the brief for these posters? Who was the client? What do they do? ...and was first published in July 2002 as self-promo spread in French A5-sized 0FR magazine (it's a zero at the beginning!) 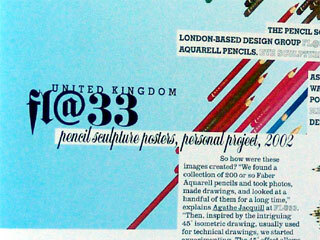 after being invited to contribute to this issue by its art director. ___ Eye Sculpture contains 470 Pencils was later presented as A2 poster during the GB: Graphic Britain book launch exhibition at Magma Gallery, London, in October 2002. ___ Butterfly Sculpture contains 818 Pencils – an A1 poster (pencils are original size at 100%, A1) was especially designed for the same exhibition. ___ Nathan Gale – (then) art director at Creative Review commissioned us to design the magazine's cover 11/2002 – the third and last in the series – shortly after the exhibition opened. 2. How did you go about approaching the design? The first thing we did when we had the idea was to get out our nice colour pencil collection of 200 or so Faber aquarell pencils (the box was slightly dusty at the time...). We took photos, made drawings and looked at a handful of them for a long time. The intriguing isometric (45-degrees-based artificial perspective – usually used for technical drawings) allows for very surprising visual effects when used in carefully composed artworks. We discovered the Pencil Sculpture Illustration Series while experimenting. ___ The pencil – featuring reflective typography (3 stars and FL@33 or 4 stars and D&AD) is – we believe – one of THE icons for graphic design / illustration and possibly nearly all creative fields and seemed to be a good starting point. 3. What are the ideas behind the design? What about the colour pattern? + 4. They are very bold and colourful why did you take this appraoch to the design? What intrigued us when we discovered the illustration technique for us was the possibility to create multi-leveled imagery. Close-up views show surprisingly realistic pencils while the overall artwork reveals rather photographic imagery due to the availability of the complete colour spectrum when showing hundreds of colour pencils. Due to the mathematical isometric perspective large areas of pattern are generated when duplicating huge amounts of pencils. 5. How was the imagery created? Where did it come from? The pencils are created as vector graphics and were generated digitally using Macromedia FreeHand. Pixel illustrations that are usually based on 90 or 45 degree angles. 7. Finally, is there anything else interesting about the project that I should know and include in the accompanying text? 1. Do you think that graphic design has lately seen a return of sorts to a more decorative / maximalist approach to design in the sense that after years of minimalist rule, ornament is no longer a crime. Architecture is more curvaceous, fashion more glamorous, design more decorative. Silhouette and botanical motifs are taking over from rigorous, simple lines and muted tones. A profusion of colour and luxury, brimming with excess, is stating the case for a return to sensuality? ...became more artistic and personal. The hand-made movement did the rest. Books such as Romantik by Gestalten Verlag and this book will probably make the maximalist / romantic movement redundant within a relatively short period of time. (((It's probably gonna be yet another overkill and designers / illustrators and artists will move on before the 'style' or 'movement' has been sufficiently explored to last.))) but emotional and more personal graphic design will hopefully be with us for a long time to come. 2. If yes, why do you think that is? 3. If no, is it just that there has always been decorative / maximalist / in your face design but that the minimalist ‘Helvetica ranged left’ look too over for a while there? It's always been around. As nearly everything else – styles and fashions come and go in waves. 4. What do you like about more maximalist / decadent / colour saturated design? 5. What do you NOT like about more maximalist / decadent / colour saturated design? We appreciate graphic art which is not necessarily defined by the modernist criteria of 'problem solving' and 'visual communication' but a stand-alone piece – but used in the wrong context as pseudo-communication - it often appears to be rather superficial. In terms of style similar to some Photoshop illustrations in the early 90s when every filter plugin available was used in some cases and moderation seemed to be a state-of-mind of the past. 6. What is your favourite piece of maximalist design and why? It's got to be 'Wasserschlangen I' by Gustav Klimt (we checked: it's from 1904-07), besides 70s graphic designer Wojtek Siudmaks, some of Vaughan Olivers' work for 4AD label and the piece referred to so many times to describe the current 'romantic' movement in graphic art / design: Björks' Vespertine cover from 2001 by M/M. 7. How do you think designers can evoke a sense of fantasy, luxury or sensuality within a graphic design piece without huge budgets? 8. What made you submit the work you did for this book, what do you think is ‘maximalist’ about it? We have produced quite a range of even more decorative / ornamental projects but the ones you picked have one thing in common: they are minimalist with a maximalist twist and hopefully show all the criteria mentioned in the answers for question 7. ...in which minimalism has held sway over the design industry, many designers are now rejecting the limitations of pared-down modernism in favour of a more rich and vibrant "maximal" aesthetic. This book celebrates the qualities of maximalism, or "enriched modernism" – its role in creating fantasy, a sense of luxury, the multi-sensory appeal - and teaches designers how to apply it by bringing together a selection of projects from around the world that typify maximalism in graphic design – whether through use of materials, print processes, layout and composition or sheer extravagance of purpose. The book is not just about expensive projects for luxury brands (although of course these feature): it is about examples of print that appeal to any one of the senses in a powerful and unusual way. 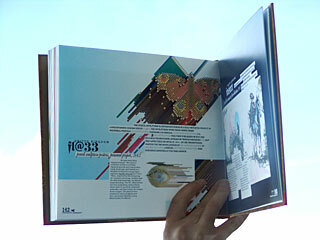 These include packaging, magazines, brochures, books, identity jobs and other forms of print work. An essential resource for designers, delivering the newest trend and the means to create the style. | Paperback re-issue: Now available for the first time in paperback, the best-selling Maximalism celebrates richness and excess in graphic design. After a decade in which minimalism has held sway, many designers are now rejecting the limitations of pared-down modernism in favour of a rich and vibrant maximal aesthetic. Beyond decoration, pattern, and embellishment, Maximalism shows how today's designers are using tactile materials, vibrant colour, printing specials, and exclusive finishing techniques. The book showcases editorial and book design, posters and packaging, identities, in-store graphics, and more. 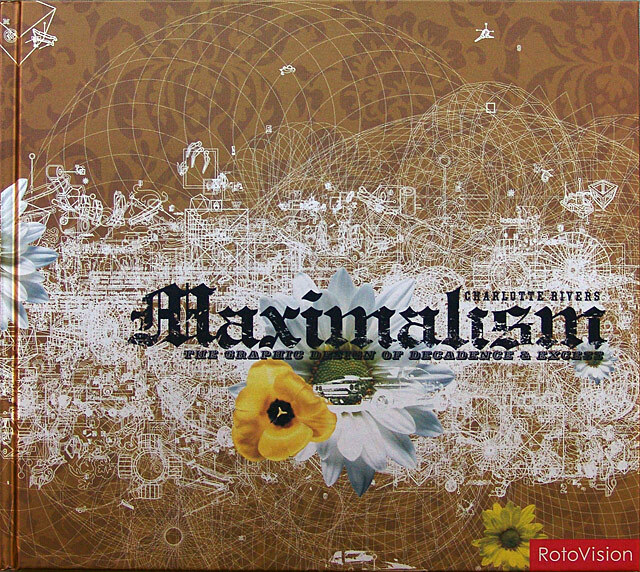 For decoration, sensuality, luxury, and fantasy, Maximalism is a must for graphic designers in all fields.